In this encyclopedia, you get a snapshot, of the trains themselves and the island where they live (Sodor). There were also quite a few trains that I didn't know about. Ashima for one, a fearless mountain train from India, where she works on steep and dangerous mountain tracks. She has beautiful decorations, but would rather shunt than show off. You don't have to try, just be who you are. Highly recommend this book for parents, who are interested in connecting with their kids, retelling stories about the Thomas & Friends characters. 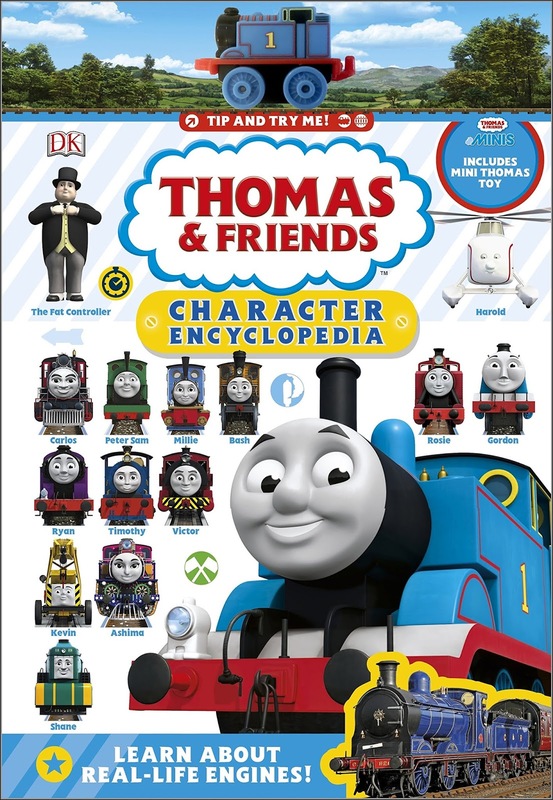 And if the word "encyclopedia" doesn't get you, perhaps the mini Thomas the Tank Engine toy on the book cover will. I have just one word: Adorable. It's going to remind me of the good ol' days when life seemed simpler and the getting to our next destination on a Thomas & Friends train was something to look forward to. Blog Post by Shilpa Raikar, who loves to tap into the intersection of both her right and left brains, and see the world through the eyes of her younger creative self.